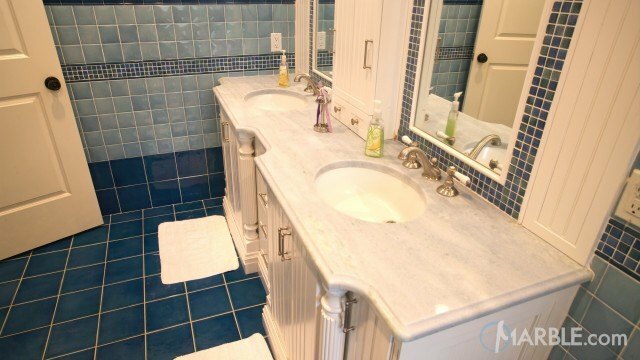 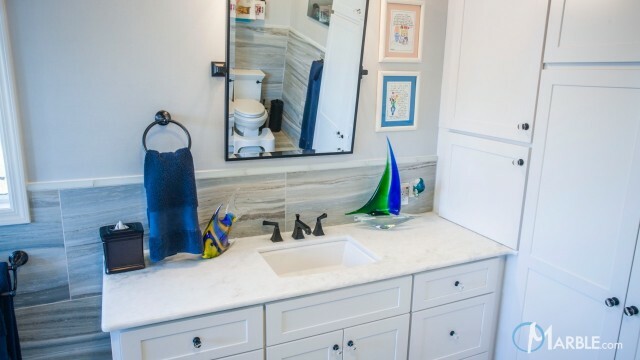 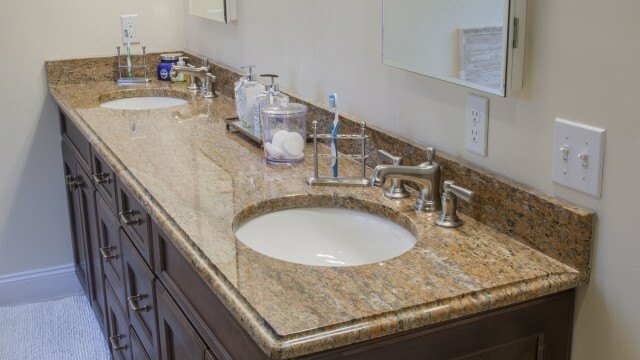 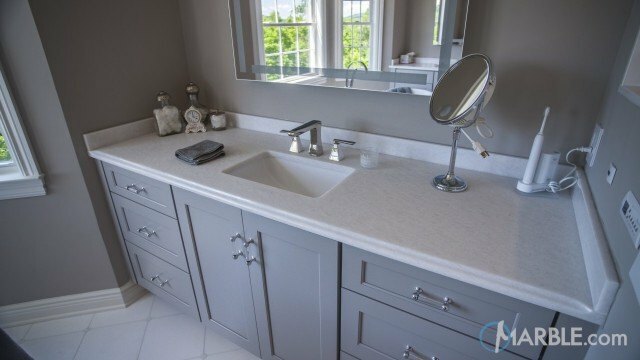 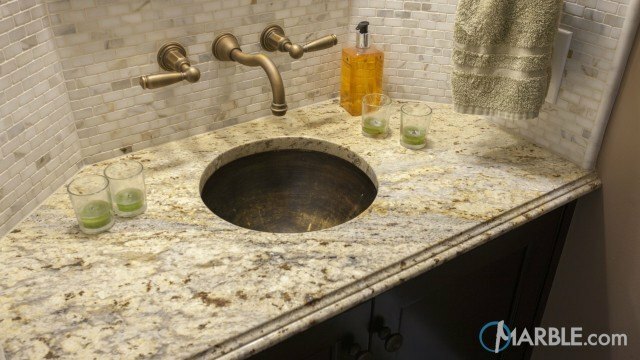 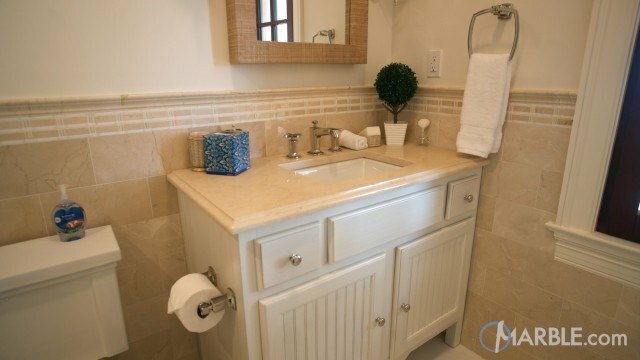 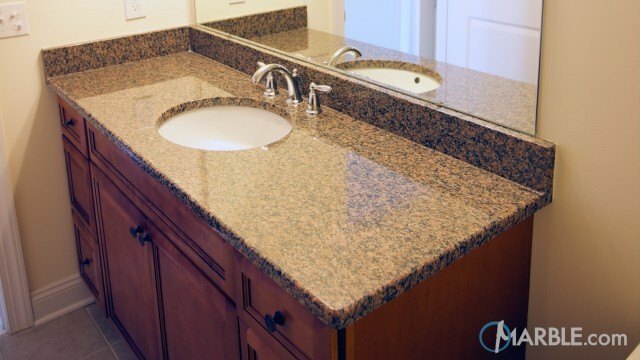 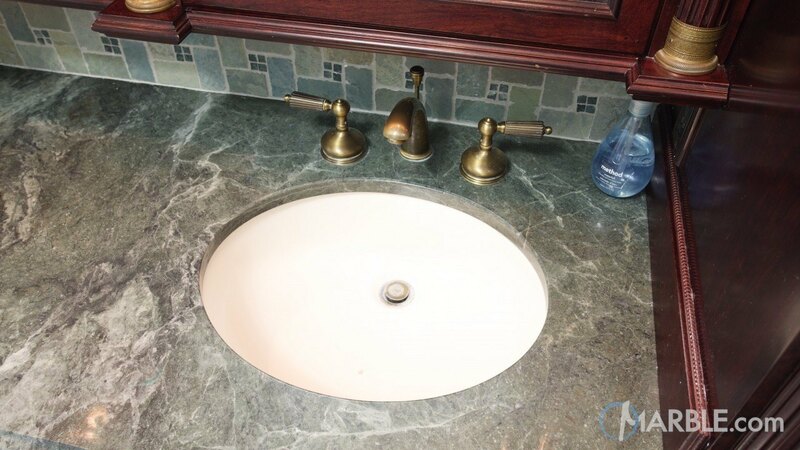 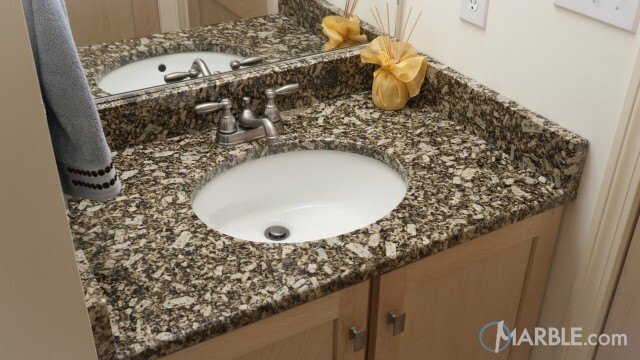 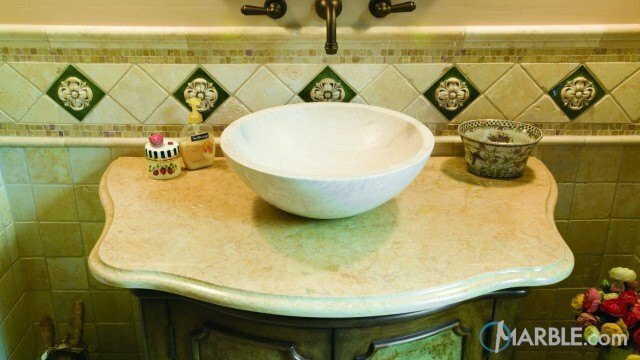 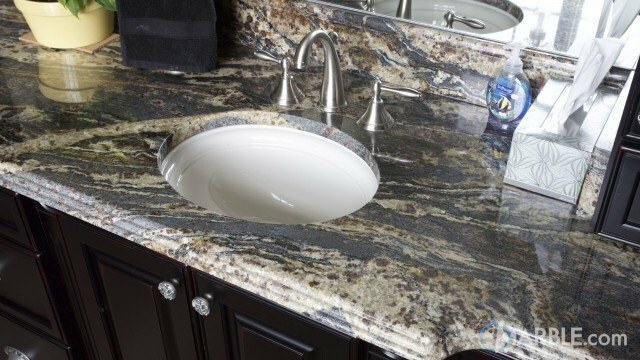 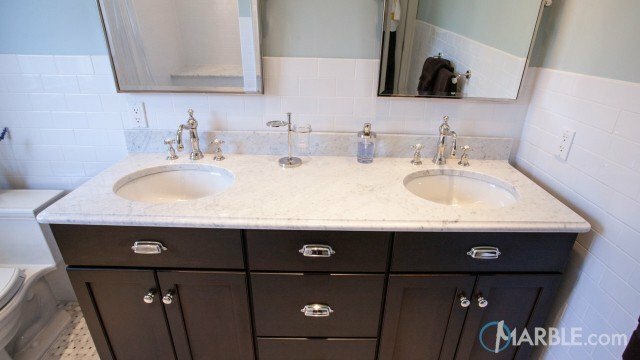 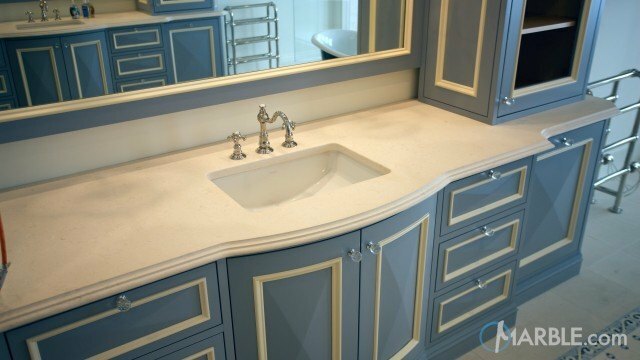 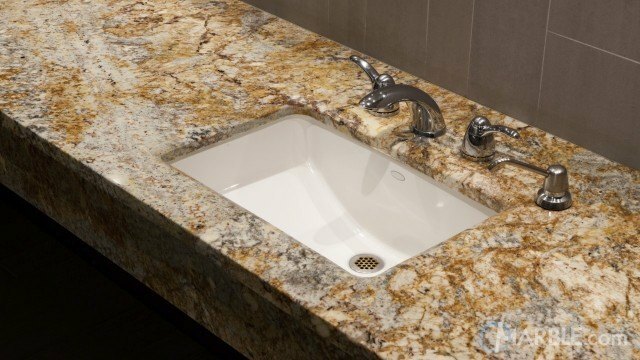 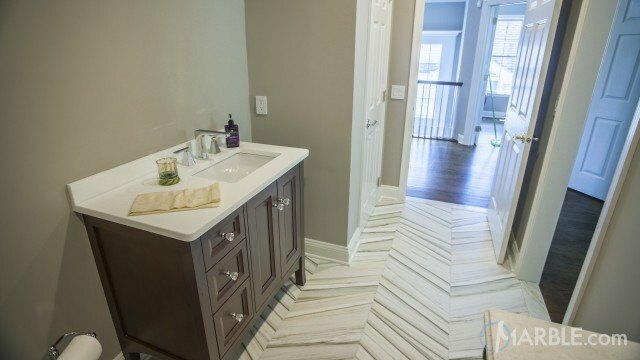 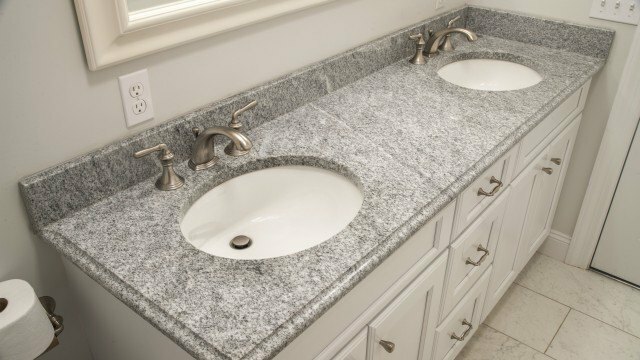 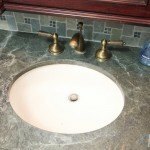 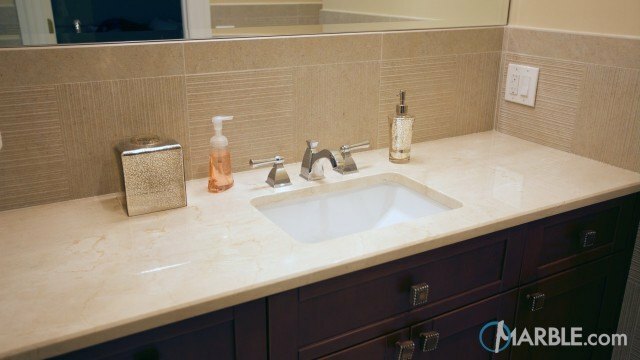 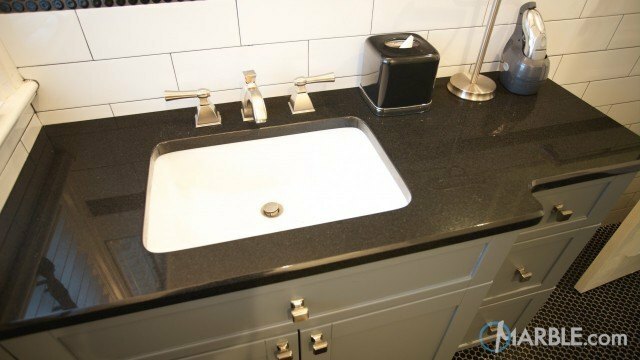 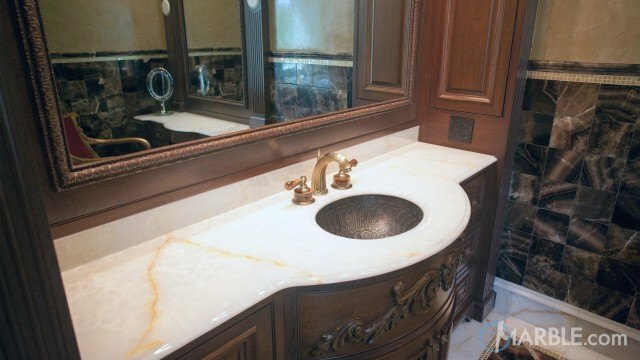 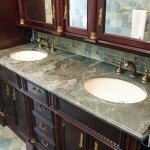 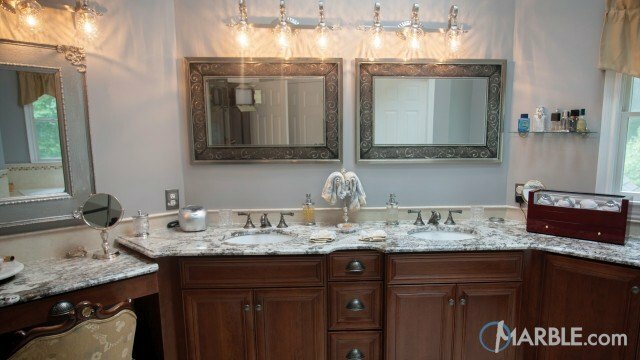 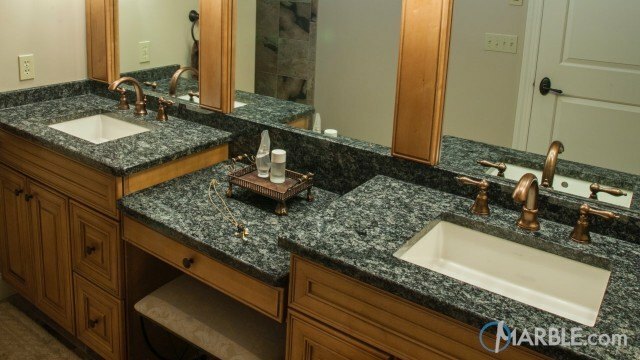 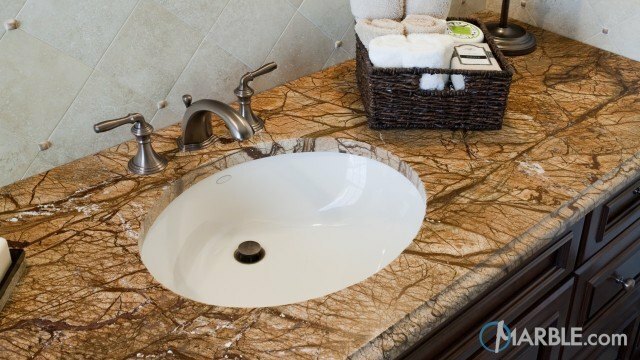 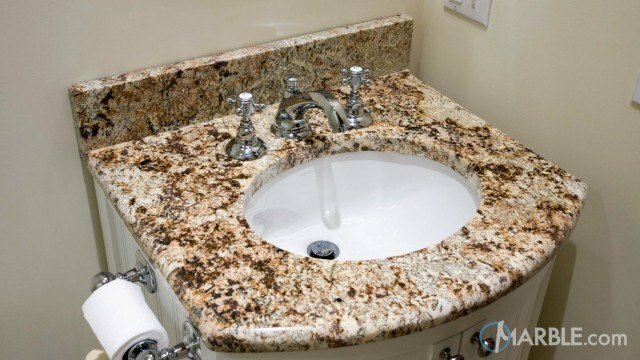 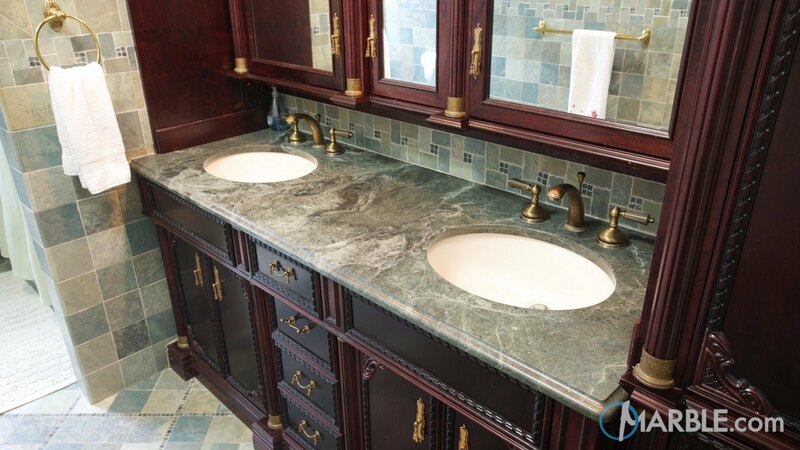 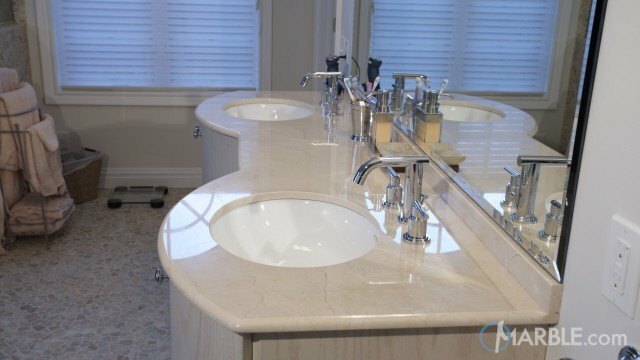 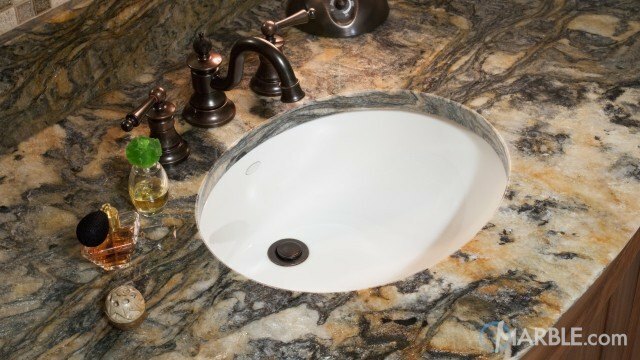 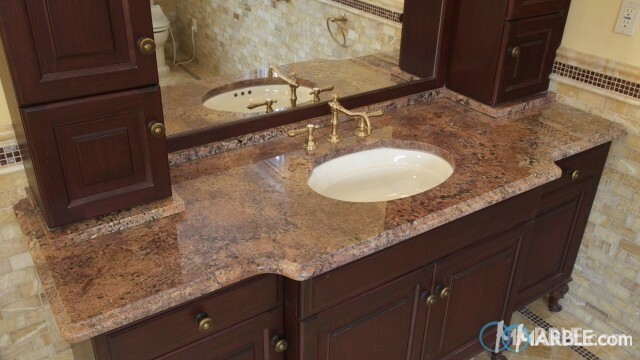 A round porcelain sink is framed by a Green Ocean granite counter top with an Ogee Edge. 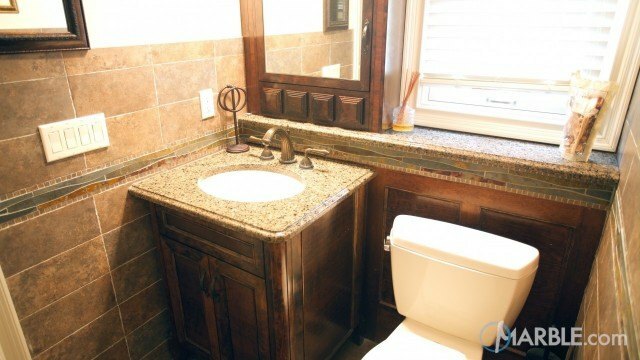 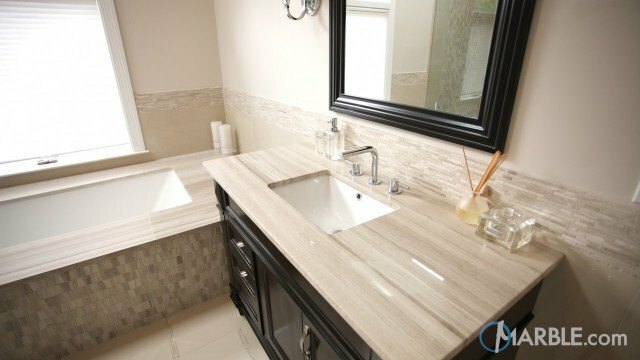 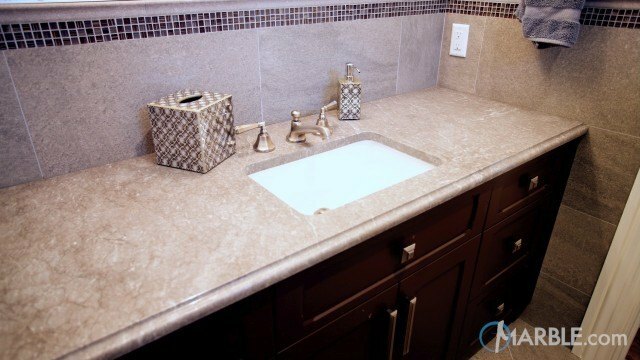 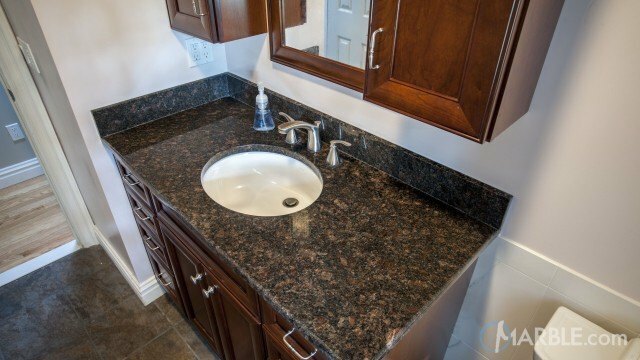 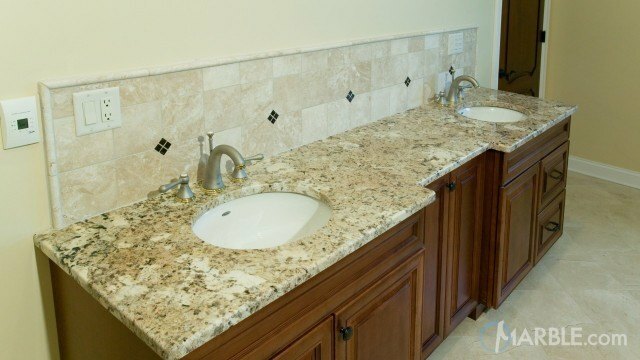 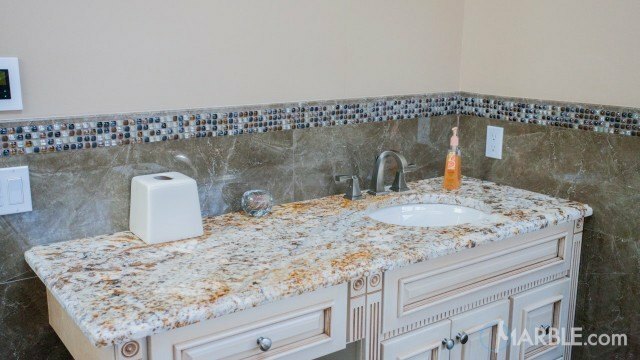 The markings in this granite are the perfect match for the tiled back splash. 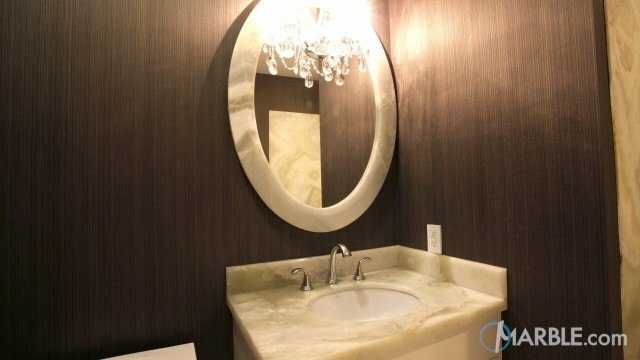 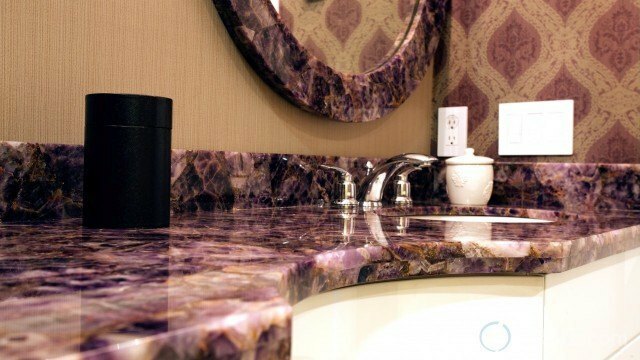 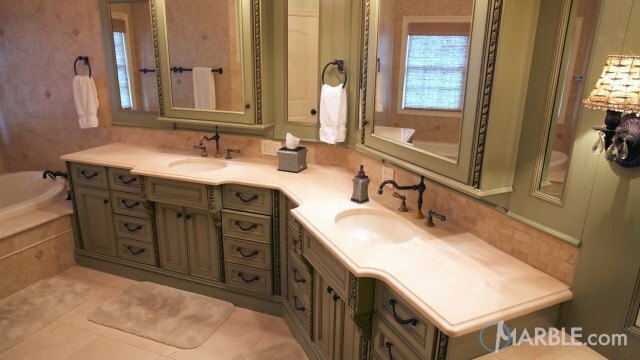 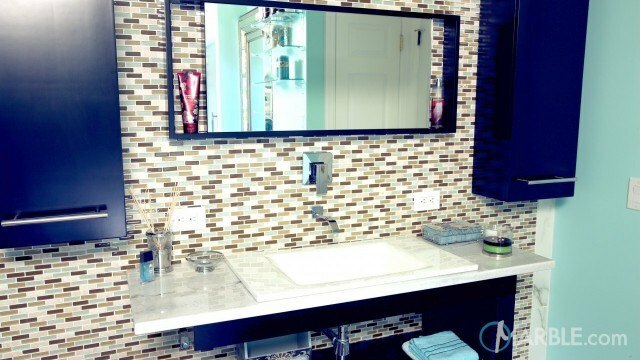 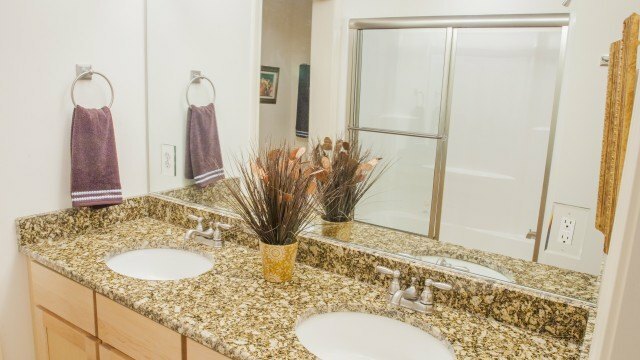 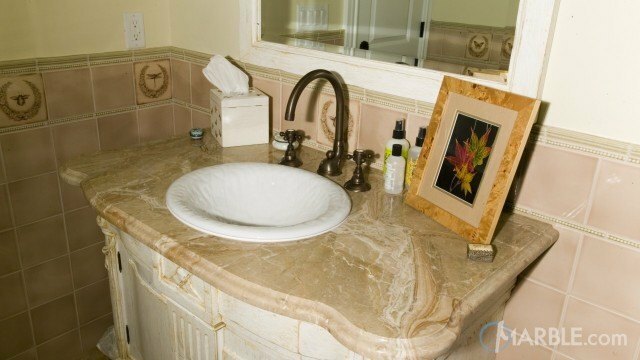 Everything is beautifully coordinated right down to the gold fixtures and the gold moldings on the mirror.